Whether you need security light for protection or just some light in a dark space occasionally, this solar motion security lights will definitely meet your demand for both quality and performance. This solar motion sensor light is packed with 28 LED’s to give that dark area light to secure your property and loved ones. The solar panel and solar light are made of weather resistant black plastic ABS. Unit has a day/night photo cell as well as Infra Red sensor which is activated when people are present or move in detecting zone 30-45 feet away. Light duration can be adjusted from lengths of 1-4 minutes. Light will stay continuously on as long as motion is detected, total amount of illumination 120 minutes per full battery cycle charge. Solar Panel is mono crystalline and two AA rechargeable batteries. 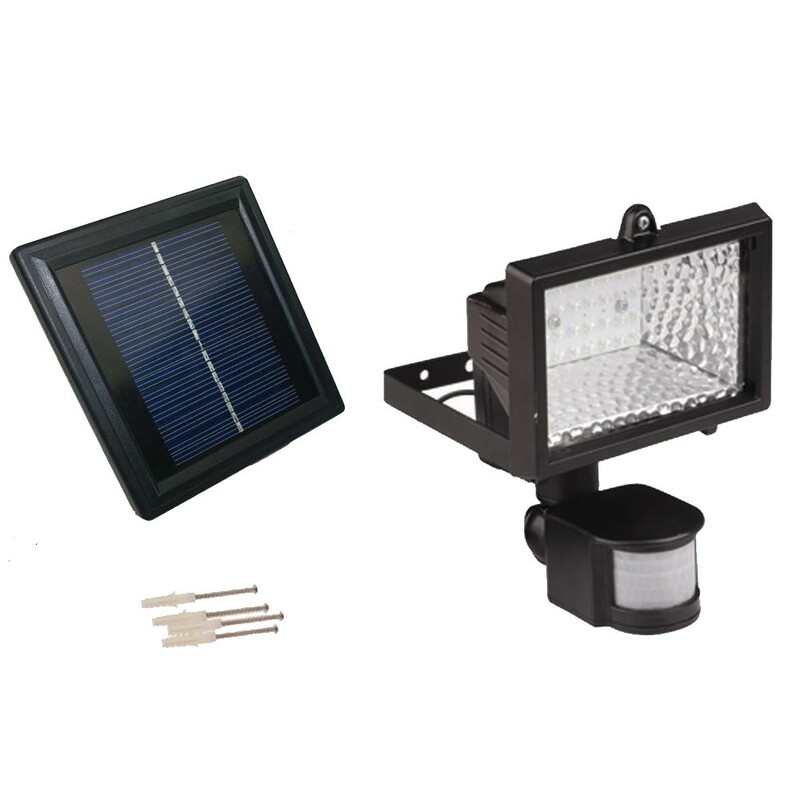 9 feet of cable between the Solar Panel and the Security Motion Light Manufactory Warranty: LED Lights - 3 years Solar Panel 1 year Battery, case, connectors and wires - 90 days. Product Measurements: 9" X 8" X 7"
Light Duration: Light duration can be adjust from lengths of 1-4 minutes.